Fill their lungs with air and let the breeze blow through their hair – that’s what childhood is all about. Here are 15 ludicrously fun games to get the kids away from those screens. The aim of this active game is to help the mouse escape the clutches of the playful cat. There will be squeals of excitement! See here for the rules of the Cat and mouse game. The kids will love this light bending experiment, discovering one of the elements that go into the science behind Harry’s cloak. See here for this science project experiment Bend the light. 3. What’s the time Mr Wolf? Who will be caught by the hungry wolf at dinner time? This is all about survival of the quickest! See here for the rules of the What’s the time Mr Wolf game. Get tagged and you’re out! This hilarious chasing game will give the kids a belly laugh like nothing else. One person is designated as “it” or the tagger – their objective is to tag everyone else by chasing them and tapping them with their hand. Everyone else tries to evade the tagger. When everyone is caught, another person caught becomes “it”. Some variations mean that once someone is tagged they can help the tagger to catch others. 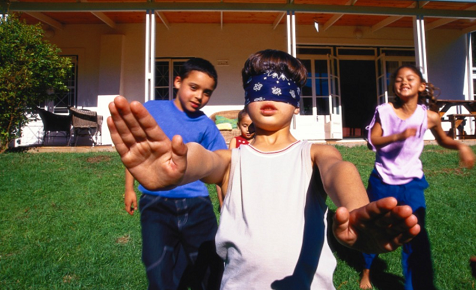 Can you steal the lollies from the blindfolded keeper? In this game your powers of stealth and trickery will really be put to the test. Now for an active game that is also a complete giggle fest! Challenge the whole family and see who comes out the winner!. See here for the rules of the Hose limbo. 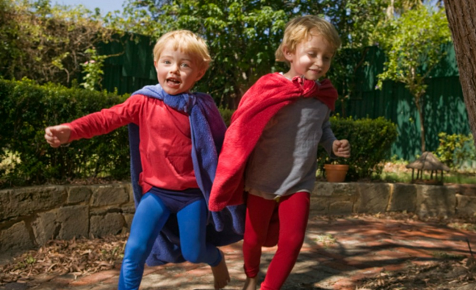 Even caped crusaders love to run amok outdoors, playing chasing games. And this energetic game is proof! See here for the rules of the Superhero chasey game. Get the kids to twist and turn through this classic game. See here for the rules of the Twist and out! game. Whether you’re a duck or a goose, you are guaranteed to cheer, clap and scream your way through this thrilling game of chase. See here for the rules of the Duck, duck, goose game. Gather the kids and let their imaginations take flight as they take their ponies over a jumping course in the backyard! See here for the rules of the Show jump showdown. Loved by kids the world over, this classic active outdoor game just never seems to get old. See here for the rules of the Stuck in the mud game. You might not be able to see in this game of tag, but if you’re quiet you just might hear your opponents or perhaps even smell their fear! See here for the rules of the Blind man’s bluff game. Find your opponents hidden flag and your team will be victorious. But get caught in the process and victory might get snatched away. See here for the rules of the Capture the flag game. Make your own fishing game using our fish printables. Let the kids decorate their own before they enjoying playing. See here for the rules of the Magnetic fishing game. You can run but you cannot hide. This creative game requires you to think strategically to avoid being tagged. See here for the rules of the Fox and geese game. What activity always gets your kids up and away from their screens? I remember playing cat and mouse and what’s the time Mr wolf and seen my kids playing this the other day and was like omg I loved this game. 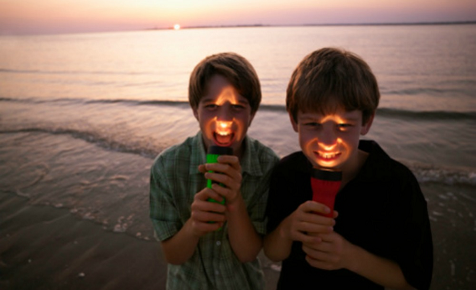 These are actually great ideas to get the kids away from technology. I looked at the bend the light science experiment and that looks fun also my kids love anything like that where there are playing with science experiments. I love any ideas that are device free they are becoming to common for kids. Kids are so addicted to devices and drive me crazy. The kids love duck duck goose they even play it at school sometimes. We will have to try some of these others in the holidays.